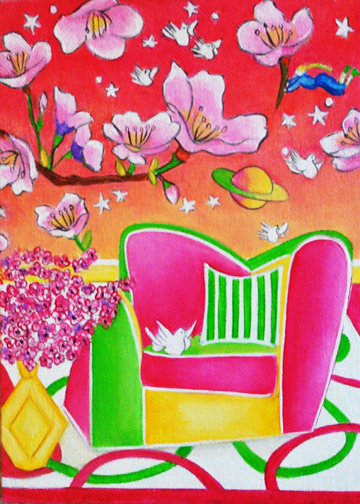 I love Cherry Blossoms and Peter Max so just had to do a little chair painting for my loves. Peter paints the best cherry blossoms so I used his style for this painting. So fun to do these little chair paintings. 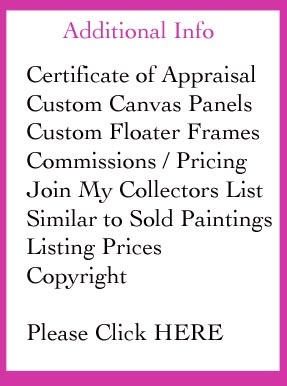 They make nice collectables for those who are running out of hanging space and still need to collect. In 1912, Mayor Yukio Ozaki of Tokyo bestowed an incredible gift of 3,000 cherry trees on the city of Washington, DC. Every year since, for one hundred years, the National Cherry Blossoms Festival has continued to draw crowds to our nation’s capital. World-renowned artist Peter Max has been named the Official Artist of the Centennial Celebration, creating the dynamic 2012 commemorative poster in his iconic style.